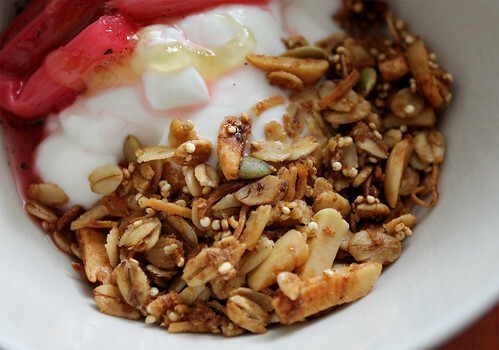 I've made another version of granola using quinoa, but with this version, the coconut flavour really stood out. 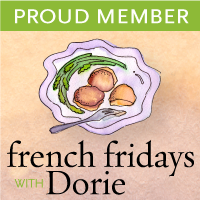 I also opted to use slivered rather than whole almonds, which allowed to them to get really toasty in the oven and make them taste super delicious. 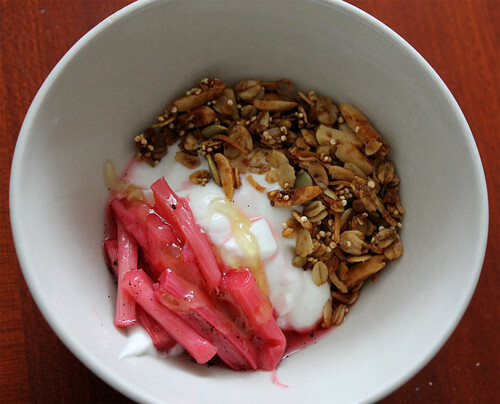 I served my granola with thick, creamy Greek yogurt, roasted rhubarb compote, and a little drizzle of honey. Sunshine in a bowl! The granola is equally delicious on its own and makes for a fantastic healthy snack—I had to quickly put mine away once it was cooled to avoid grabbing a handful of it every time I "walked by" the kitchen. Find the recipe for Coconut Quinoa Granola over at Sweet Pea's Kitchen.